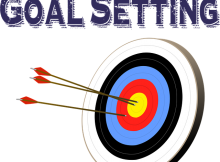 Goal setting is one thing, realizing them is another thing. Challenges come our way slowing us or limiting our realization of those dreams. Gradually we begin to cave in to neglecting them and finally deserting them -why have you not met your goals. We still need self-control to beat our impulsive nature into submission and help us toward what’s good for us instead of what just feels good in the moment (think: going to bed instead of Netflix and chilling into the night). Rather, I merely think blaming the problem on a lack of self-control is like putting the cart before the horse, that is No amount of self-control is going to keep you from consistently turning down donuts or saying yes to yoga if you don’t know why you need self-control in the first place.